Plantersville-Freddy Ray Stanford, 62, won the victory on Saturday, October 27, 2018 at Sanctuary Hospice House in Tupelo after a hard-fought battle against cancer. Freddy Ray was born on April 4, 1956 in Tupelo to the late Fred Stanford, Jr. and Jonell Bass Stanford. He attended Plantersville Schools where he was a standout athlete and went on to Nettleton High School where he was quarterback of the Nettleton Tigers team and a outstanding forward for the Nettleton Tigers Basketball team graduating in l975. 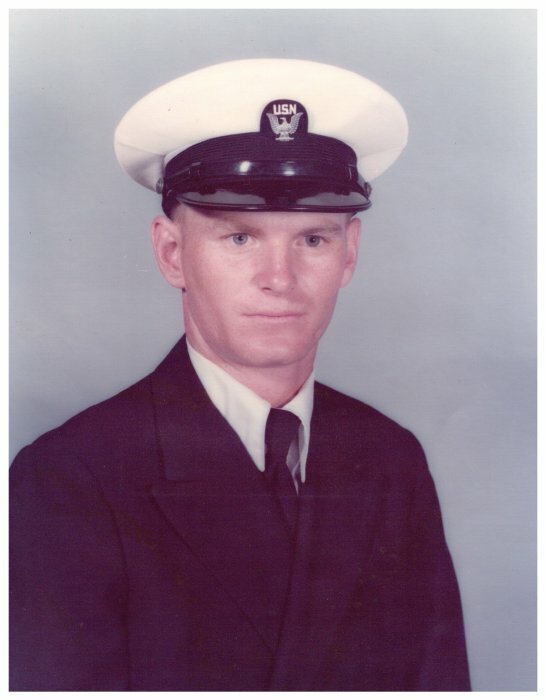 Immediately after graduation, he began a career in the U. S. Navy which lasted 19 years and 6 months until he was injured. Ensign Stanford loved the Navy life, traveled to 103 countries and crossed the equator 4 times. He was plank owner on the U. S. S. Elliott and served on two other ships, the USS Nassau and the USS Trippe. He and his wife, Nancy, settled in Coldwater, MS. after their military career where they were the owners of a horse farm. They raised AQHA Horses and Palominos and were active members of the American Quarter Horse Association and the Palomino Horse Breeders Association. Freddy Ray was a grill master and smoker and was known far and wide for the products that came from his mastery of cooking. Everyone looked forward to his food at the horse shows. They returned to his native Plantersville in 2014 where they lived until his death. Golf was important to Freddy Ray and he was a member of the All-Navy Golf Team while enlisted. He also liked NASCAR and was a die- hard Ole Miss Rebel. A service celebrating his life, with military honors, will be held at 5 PM Today (Tue. 10/30/18) at the Tupelo Chapel of Holland Funeral Directors with Bro. Danny Dabbs and Bro. Dickie Ray officiating. Burial will be private. Visitation will begin at 3 PM today (Tue) until service time at 5 PM. Survivors include his wife, Nancy Ferguson Stanford of Plantersville; his son, Shawn Phillip Bowling and wife, Jennifer of Tullahoma, Tenn.; his grandchildren, Chelsea Brooks (Taylor), Noah Bowling and Logan Bowling. His sister, Lori Stanford Shackelford and husband, Chris of Plantersville. Nephews and nieces, Casey Shackelford (Kellon), Emily Stanford, Whitt Macknally (Lee Anne) and Kellye Weeks (Bill). He was preceded in death by his parents: Fred and JoNell, his brother, David “Bubba” Stanford and his beloved german shepherd dog, Kodi.